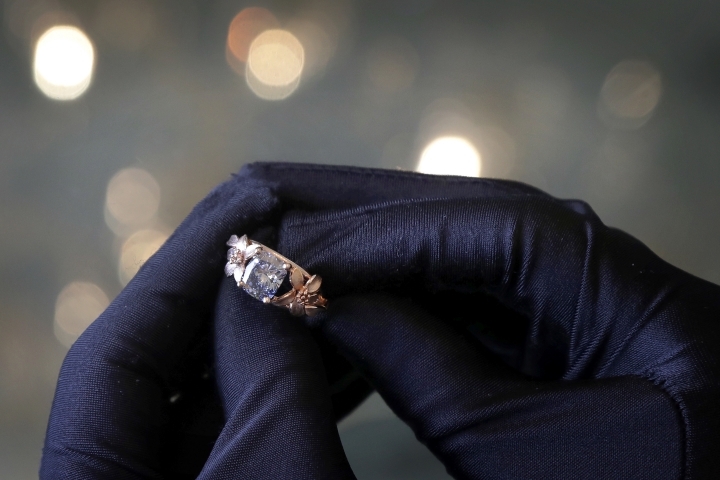 SINGAPORE — The Singapore-based organizer of a $2 million initial coin offering linked to a promotion involving a 2.08-carat blue diamond ring and luxury dinner raffle cancelled the plan Tuesday, leaving thousands of investors from dozens of countries in need of refunds. Ville Oehman, the Finnish founder of V Diamonds, agreed to buy the ring and dinner from the Russia-based World of Diamonds Group as part of a wider promotion. In November he began selling the tokens for $2 or more. Investors also stood a chance to win an "ultimate dinner experience" in Singapore with a three-hour yacht cruise, gold-plated chopsticks and an 18-course Michelin star meal on a private jet, according to the pre-sales website. "The sale of The World's Most Expensive Dinner by World of Diamonds Group to V Diamonds has been cancelled by a mutual decision of the companies," the companies said in joint statement on Tuesday. "The token sale planned by V Diamonds is cancelled, and all the pre-subscriptions to the token sale will be refunded back to the participants." No reason was given for the cancellation. 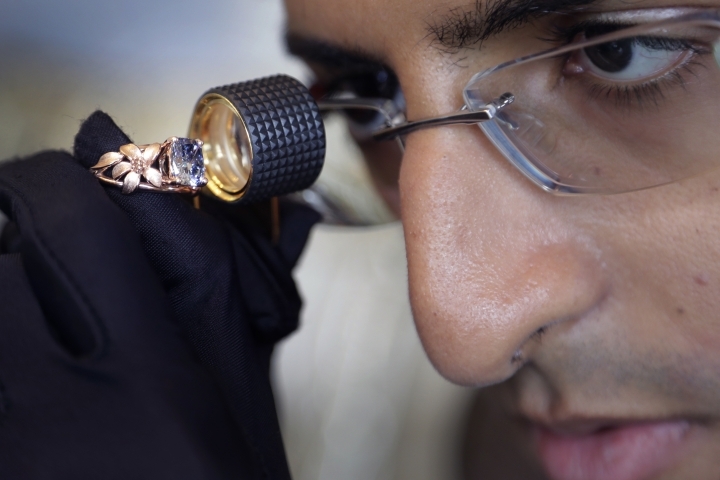 Karan Tilani, director of the World of Diamonds Group, which was not participating in the coin offering plan, said that its dining promotion will be launched again, with an option to pay in crypto-currency. Part of the proceeds will be donated to charity, he said. But a record of over 3,000 transactions shared exclusively with The Associated Press showed that participants came from at least 61 countries, including Singapore, Britain and the U.S., where 1,021 investors were based. Kirk Reiter, a university student from Wisconsin, purchased a single token last December. "I did invest in the ring but haven't heard much back. It sounded like a fun opportunity and for $2 I thought I would invest," he said. "It seemed ... very flamboyant and over the top, so it seemed like something cool to try my hand at," businessman Matt Schroeder, founder of U.S. retailer Shelly Cove, told The Associated Press. Schroeder, who says he has invested tens of thousands of dollars in several crypto currencies, said he bought five. Tilani of the World of Diamonds Group had expressed concern over Oehman's sale of the tokens, citing a lack of transparency and recent corrections in the crypto currency market. Outside the crypto currency world, there is no equivalent for initial coin offerings, in which investors usually buy digital tokens that can be kept, sold or traded. The Monetary Authority of Singapore has urged "extreme caution" regarding investments in crypto currencies that are not covered by any regulatory protection.